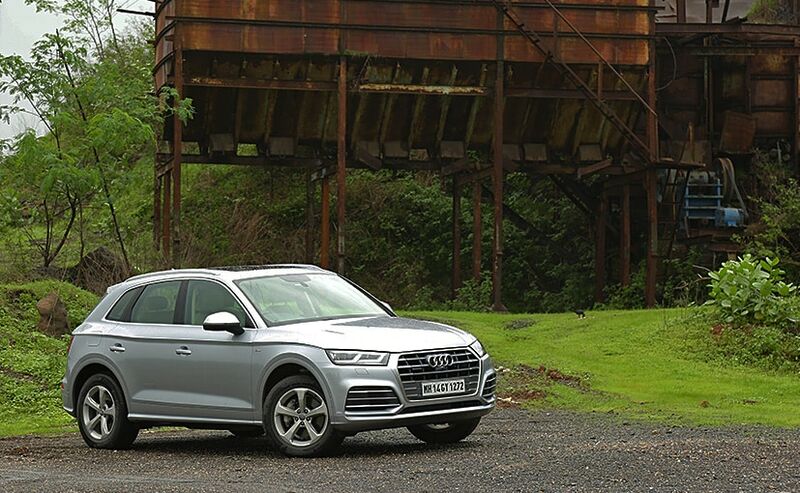 The year began with a bang for Audi with the second generation of the Q5 in the diesel and though back then we asked about the petrol variant, we got a reply saying 'soon'. And here it is finally, the petrol variant of the Q5. There's still a lot left to tell about the second generation Audi Q5. And one can say that there's one more chapter added to the Q5's tale. A chapter that's probably predictable, none-the-less a story worth telling. It's like my niece telling me the story of Harry Potter and me looking at her wanting to know more and acting as if I have never heard of such a person. Audi had made it quite clear that it is looking to shift its attention to petrol-powered cars and the balance will soon be 50-50 between petrol and diesel cars in the portfolio. 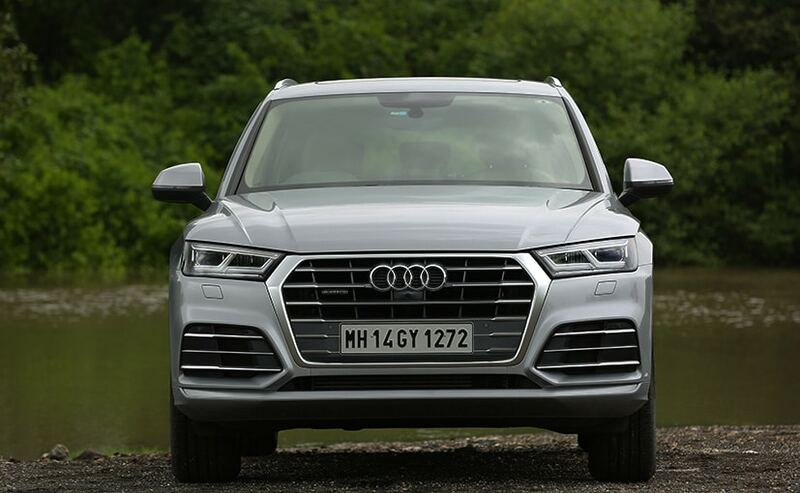 The first step in this direction was bringing in the company's flagship SUV - the Q7 in the petrol avatar and we've already driven that one last year. 2018 then began with a bang for Audi with the second generation of the Q5 in the diesel and though back then we asked about the petrol variant, we got a reply saying 'soon'. And here it is finally, the petrol variant of the Q5 and according to me a much needed one at that in the line-up. I say that because the other two petrol SUVs that it has to deal with in its category are the BMW X3, Lexus NX 300h and the Mercedes-Benz GLC. Yes the Volvo XC60 is there too but remember, it's only available in the diesel so, well not in contention for a rival then, really. 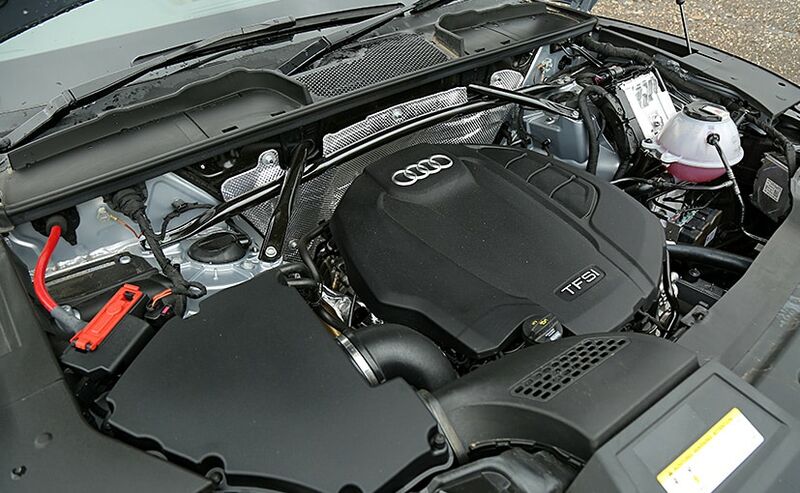 It looks the same as the diesel and yes, there's that unmistakable resemblance to the elder sibling - Q7. Not much has changed in terms of design when compared to the Q5's predecessor and the front three-quarter actually looks very familiar. The new-gen Q5 gets the one-piece, squared-off grille and headlights. 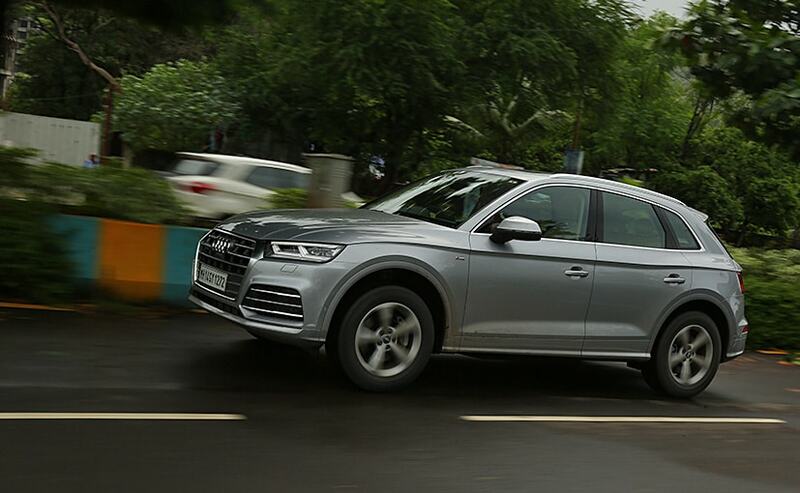 There are the LED DRLs and it's a signature design and it continues to be the highlight of the Q5. 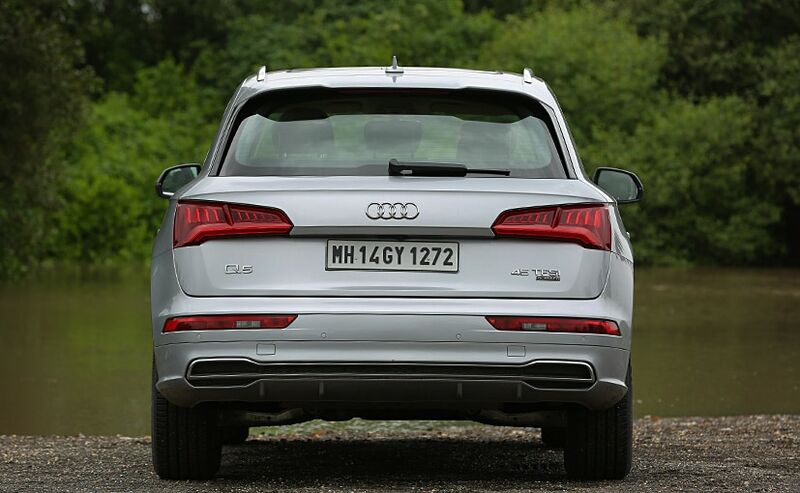 What I love though, is the sharp crease that runs across the side of the car and then goes on to join the tail lights, all of which adds a sense of balance and gives the Q5 that sporty and even compact appearance. It looks sharper and that should probably shut all those critics out there who said that the family look was getting too boring. The only noticeable difference between the petrol and the diesel then is the '45 TFSI' badge at the rear. The cabin has been carried forward from the diesel. There's the massive 12.3-inch display for the instrument cluster and well you have the virtual cockpit in this one too. It's got the switchable views and large-screen format for navigation which is brilliant and you can just toggle between what you prefer to see. There's also the 8.3 inch display that sits atop the dash. It's not a touchscreen though but there's a rotary knob which allows you to toggle between settings. There's also the MMI scribble pad with 8 short cuts which makes things simpler. The cabin carries the beige and black theme from its diesel counterpart and then there's the panoramic sunroof which adds to the feature list. There's good leg room at the rear but we do miss a very usable in today's day USB port but you do have a 12V charging port. 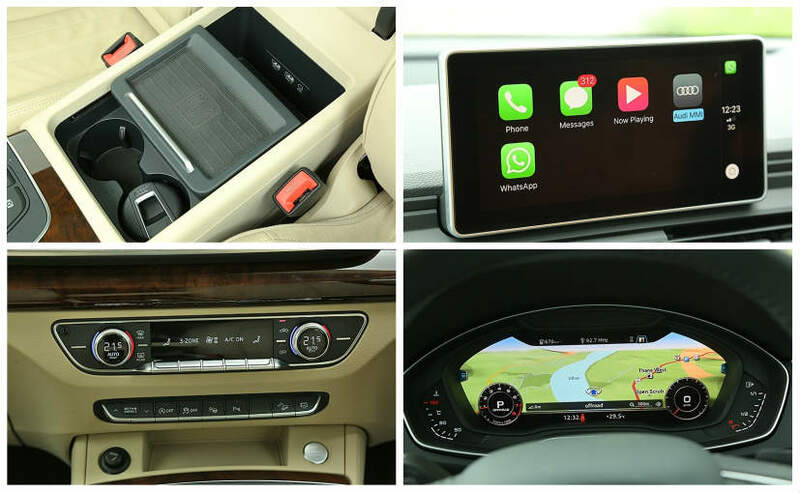 There's also wireless charging for those who have compatible phones and not to forget Android Auto and Apple Carplay are also part of the features on offer. Of course, this is what you've been waiting for the most. 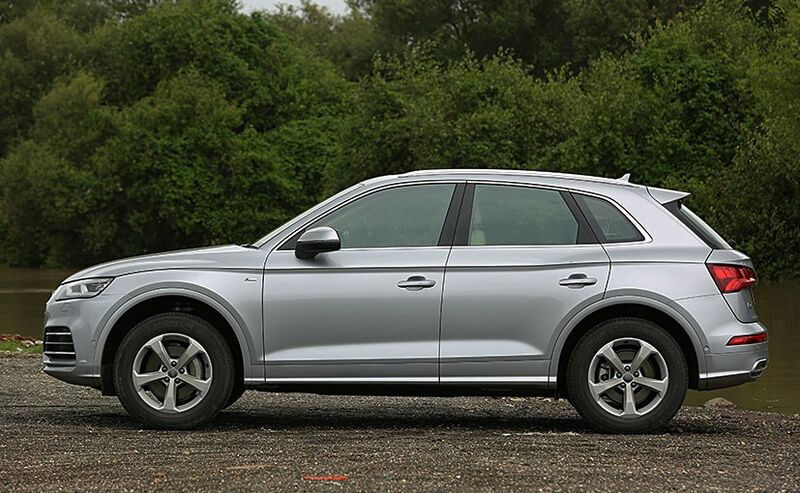 The Audi Q5 petrol is powered by a 2-litre engine which we've seen even on the Q7. The engine makes 248 bhp and there's 370 Nm of torque on offer. But it's that 7-speed dual clutch transmission that's just sublime and makes everything so easy. There are six driving modes to choose from comfort, dynamic, efficient, auto, individual and off-road. They are self-explanatory of course, but each mode impacts the character of the steering, suspension and the gearbox. In comfort mode, the adaptive suspension of the car is tuned to make everything inside the cabin more suited to the comfort of the passengers. 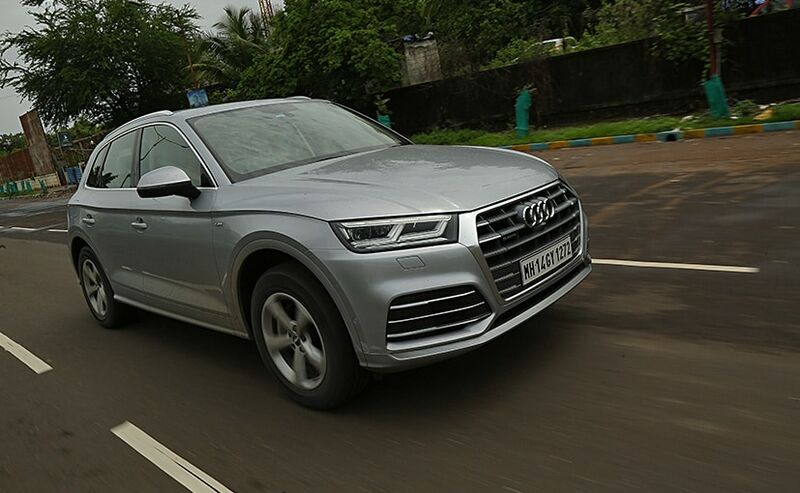 Of course the efficient mode is all about saving fuel and according the folks at Audi, the Q5 returns fuel economy figures of more than 12 kmpl. But of course, when you have something like a 'dynamic mode' on the car you don't want to conserve any. Selecting the dymanic mode, firms up the suspension and this is where you feel the bumps on the road and it's a bit unsettling but that can easily be corrected by switching into comfort mode. However, the firmer suspension means that the stance of the SUV is aggressive and boy does that speed-o-meter start ticking. 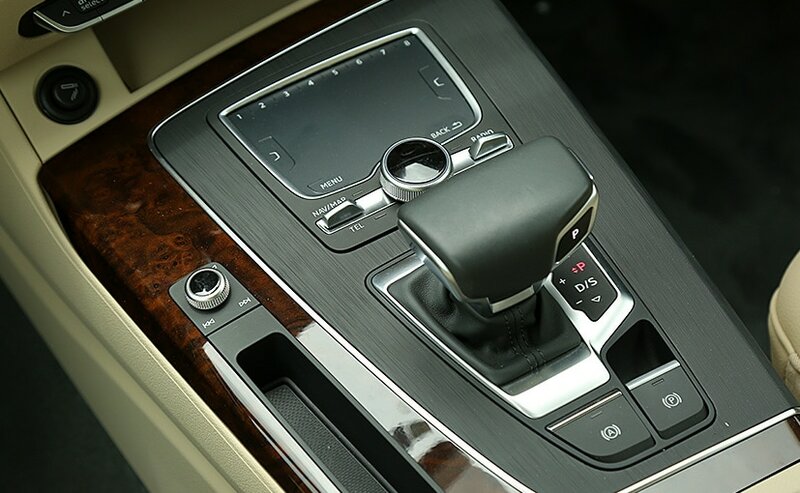 Of course there's Quattro all-wheel drive on the car but the 7-speed dual clutch transmission is the hero in this one because it provides seamless transition to all the wheels. You can use the paddle shifters too which change according to your command and you have to dwell deep into finding a fault with it. The engine too is silent and the NVH levels in check and yes it's a lovely thing to drive. Steering feedback has improved too as it offers a more connected feel and gives you confidence to chuck it into a corner. Sadly we could not take it off the beaten track because of time constraints but we sure hope that we get to do that soon. On the safety front there's 8 airbags while on the convenience front the Q5 gets Audi's park assist system along with a 360-degree camera. 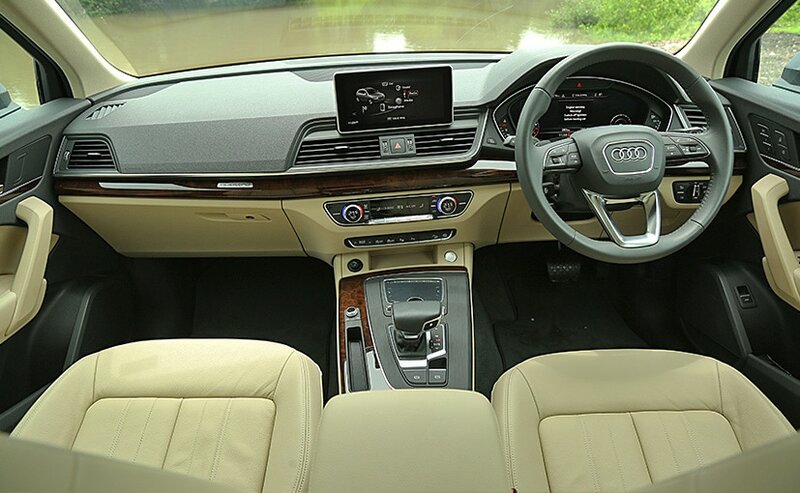 The Audi Q5 ups the game in the midsize luxury SUV segment because it feels richer, plusher and even sportier and with the petrol engine it brings in more value to the car by giving its customers a choice and that will surely appeal the buyers. 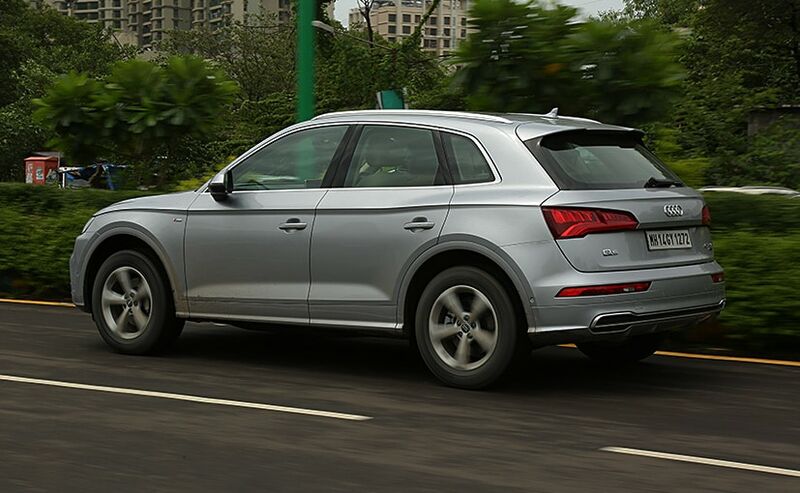 The Q5, however, has a mountain to climb though with the increasing number of competition in the segment. However, Audi clearly has come prepared and we hope to see it undercut its rivals when it comes to price.